Are you making the most of your nooks and crannies? Probably not. If you’re like most of us, then there are several underused areas in your home that could use a second look—or maybe even a first look! With a fresh perspective and an ounce of innovation, maybe those barren spaces could blossom into a hide-away office or a secret reading room. We’ve collected some of our favorite, and totally do-able, space exploiting design ideas to increase the functionality of your entire living space. Most of us don’t give much thought to the space under the stairs unless it’s after midnight and we’ve binged on horror movies all night. Well, there is nothing scary about this space. 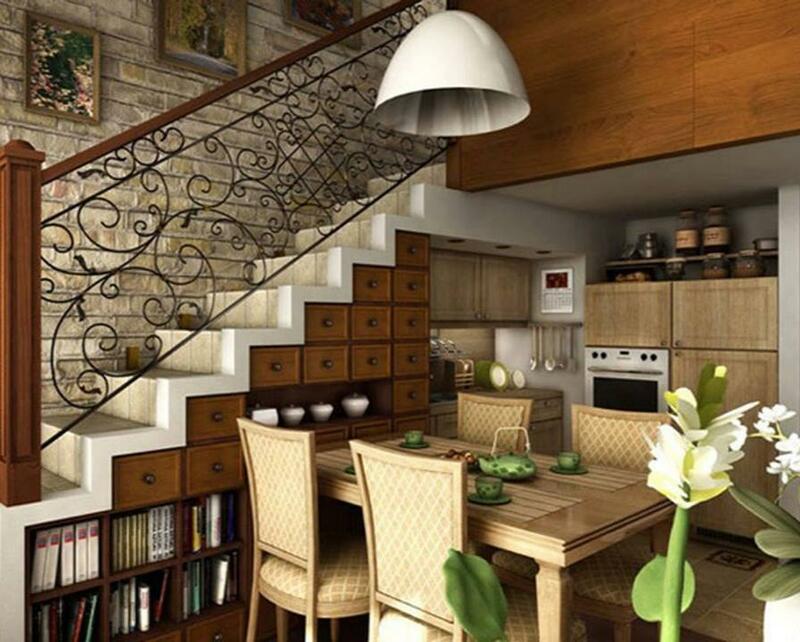 The options for building out charming spaces under the stairs are endless. We love this attractive work space with desk and ample storage, but we also adore the idea of a creative bookshelf with a cozy reading bench. How much would Fido love his own indoor doggie condo under the stairs? Who says a mudroom has to be, well, muddy? These amazing spaces are all too often left empty and unloved. But why dedicate so much useful space to a couple pairs of dirty old snow boots? Your mudroom offers up a blank canvas for creating multiple storage options for all sorts of items. We especially love the ones that capitalize on the opportunity to organize all those supplies the kiddo’s need on their way out the door for school. The foot of your bed is one of the least used spaces in the average home. This area is the perfect spot to put a storage enabled piece of furniture like an ottoman or a bench. The concept here is very much like the addition of a table behind your sofa. This design element compliments the room by framing in the bed and making things feel more polished. Plus, you get all that great storage space right at your feet! We love guests, we really do, but why dedicate a whole room to people who don’t actually live there? Wall beds are a great option for keeping a guest room ready to accommodate the mother-n-law, while still maintaining that personal office you need to organize all your personal projects. Its the best of both worlds and amps up the functional quality of that extra bedroom space. The garage can be transformed into so much more than a grease pit or a man cave. We love the idea of a rustic, useable, kitchen and art studio. These huge spaces are all too often treated like tombs for holiday decorations and racks of dusty old tools. Our advice? If you’re not using it, then lose it. Clean out that unused space and really examine its potential. You might find that the hot yoga studio of your dreams is just waiting on you to have that yard sale you’ve been putting off.